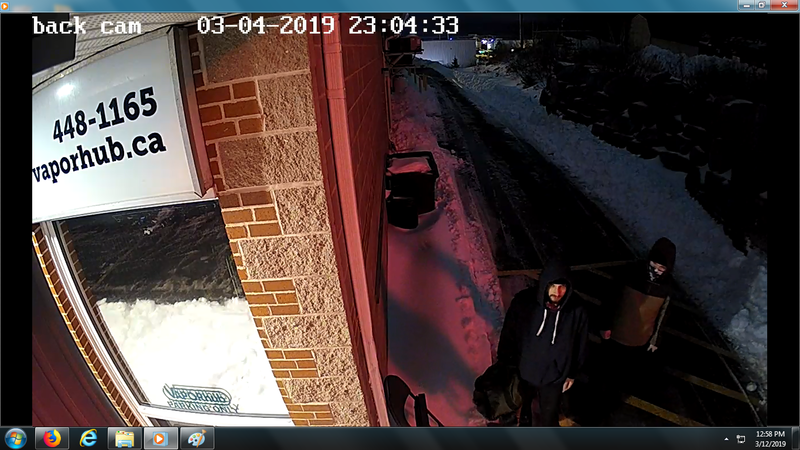 Police are looking for the public’s assistance to identify two suspects in relation to a break and enter in Halifax that occurred in early March. On March 5, police received a report that a break and enter had occurred late the previous night at Vaporhub located at 8 Oland Crescent in Halifax. 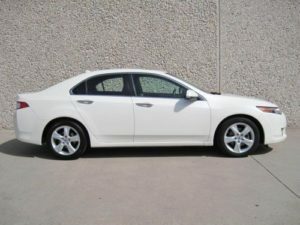 The suspects forced open a door and took an undisclosed amount of cash before fleeing the area. Police are releasing photos obtained from video in the area at the time of the incident. 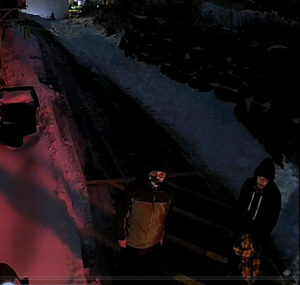 Anyone with information about the people in the photos or the incident is asked to contact police at 902-490-5020. Anonymous tips can be sent to Crime Stoppers by calling toll-free 1-800-222-TIPS (8477), submitting a secure web tip at www.crimestoppers.ns.ca or by using the P3 Tips App. There have been multiple counterfeit bills, Canadian and American, in a variety of denominations passed recently at local businesses. Don’t accept a bill you believe is counterfeit. If you think you’ve received a counterfeit bill or if someone attempts to use a bill that appears to be counterfeit, contact police at 902-490-5020. 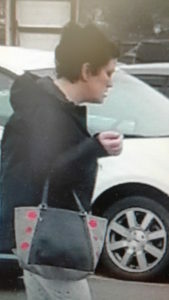 March 20, 2019, Arichat, Nova Scotia… Richmond County RCMP is seeking public’s assistance to identify a person of interest in relation to a theft from a business in Arichat. At approximately 12:20 p.m. on March 16, a female suspect left a business on Highway 206 without paying for three bottles of alcohol. The woman is described as approximately 5’6″, medium build with black hair. She was wearing a black jacket and light colored pants. Anyone with information about this incident is asked to contact Arichat RCMP at 902-226-2533. Should you wish to remain anonymous, call Nova Scotia Crime Stoppers toll free at 1-800-222-TIPS (8477), submit a secure web tip at www.crimestoppers.ns.ca, or use the P3 Tips App. Police file #2019349137 refers. At approx. 6:30pm Halifax Regional Police responded to a weapons complaint of a gun shot in the area of Glebe St, Halifax. Two vehicles had pulled up beside each other, witness heard a gun shot and both vehicles sped away in opposite directions. One vehicle was located. Police are currently onscene, the investigation is in the preliminary stages. 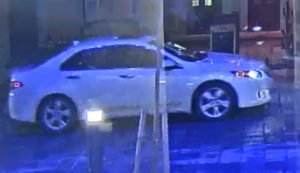 Police are releasing a photo of a suspect vehicle that was in the area at the time and are asking for the public’s assistance in identifying the vehicle’s owner and occupants. The vehicle is described as a 2009-2014, white Acura TSX. Investigators are also requesting anyone that may have video surveillance or dash camera video in the area encompassed by Brunswick Street, Spring Garden Road, Lower Water Street and Cogswell Street on March 9, 7:30 p.m. and 9:30 p.m. to contact police. On March 9 between 7:30 p.m and 9:30 pm, an off-duty RCMP officer’s firearm was stolen from their personal vehicle in the 1500 block of Granville Street in Halifax. Also taken were three magazines and ammunition. Anyone with information about this incident is asked to contact police at 902-490-5020. Anonymous tips can be sent to Crime Stoppers by calling toll-free 1-800-222-TIPS (8477), submitting a secure web tip at www.crimestoppers.ns.ca or by using the P3 Tips App. March 14, 2019, Fox Point, Nova Scotia . . . Lunenburg District RCMP responded to a complaint of a suspicious vehicle on Lighthouse Rd. Police received the call at 2:52 a.m. on March 14. When the police officers arrived on scene, they discovered a break and enter in progress, and they attempted to arrest the two suspects who were inside the home. One fled into the nearby ocean and was arrested a short time afterwards. The second male fled into the woods, and while he was running, his footwear came off and was later recovered by police. He continued running. 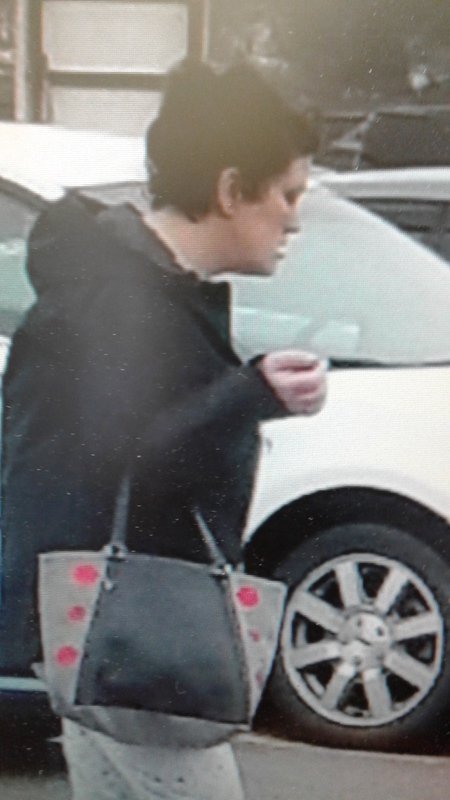 Lunenburg District RCMP is attempting to identify this second male and are concerned for his safety, as he was not properly dressed. He is described as a white male in his twenties, approximately five foot nine inches tall, one hundred forty pounds, brown hair and missing his shoes. Anyone with information about this incident is asked to contact Lunenburg District RCMP at 902-527-5555. Should you wish to remain anonymous call Nova Scotia Crime Stoppers toll free at 1-800-222-TIPS(8477), submit a secure web tip at www.crimestoppers.ns.ca, or use the P3 Tips App. He was arrested, charged and taken to court on February 22 where he was remanded. He is scheduled to return to court on April 12. He was arrested, appeared in court on February 27 and was released on conditions. He is scheduled to return to court on March 27. Robar was arrested, appeared in court on February 25 and was released on conditions. He is scheduled to return to court on March 27. A 23-year-old woman from Bridgewater, a 29-year-old woman from East Dalhousie, and a 44-year-old man from New Germany have each been arrested for and are facing charges of 3 counts of Break and Enter and one count of Possession of Property Obtained by Crime. They were released following their arrests and are scheduled to appar in Bridgewater Provincial Court on April 24. If anyone has further information about these types of crimes, or other incidents, please call your local RCMP detachment or should you wish to remain anonymous call Nova Scotia Crime Stoppers toll free at 1-800-222-TIPS (8477), submit a secure web tip at www.crimestoppers.ns.ca, or use the P3 Tips App. Police file #s 2019237115 / 2019228378 / 2019219570 / 2019230260 refer. March 13, 2019, Lunenburg County, Nova Scotia . . . After a month-long investigation led by the Integrated South Shore Street Crime Enforcement Unit (SCEU), two people were arrested following a traffic stop near Gold River. Lunenburg County General Investigative Section and the Criminal Intelligence Service of Nova Scotia (CISNS) South Shore assisted with the investigation and subsequent charges that also resulted in the search of a home in Western Shore. Cash, cocaine and several other types of drugs were found during the searches of the vehicle and home. Both individuals arrested appeared in court on March 12. Demont was released and is scheduled to return to Bridgewater Provincial Court on April 10. Sykes was remanded into custody and will appear in Bridgewater Provincial Court on March 14. The investigation is ongoing. Anyone with information about this or similar incidents is asked to contact Lunenburg District RCMP at 902-527-5555. Should you wish to remain anonymous call Nova Scotia Crime Stoppers toll free at 1-800-222-TIPS (8477), submit a secure web tip at www.crimestoppers.ns.ca, or use the P3 Tips App. Police file # 2019262421 refers. The 2017 death of the victim of an aggravated assault has been ruled a homicide and police are releasing the name of the victim. On July 20, 2017 at 7:30 p.m., police responded to an injured person call at the corner of Buddy Daye and Gottingen Streets. Officers found a man with a head injury at the scene. He was transported to hospital with life-threatening injuries where he remained until he passed away on August 28, 2017. The Medical Examiner Service conducted an autopsy, and after completing further in-depth testing, ruled the death a homicide. Investigators are now in a position to identify the victim as 51-year-old Benjamin Loka Lokeny of Halifax. Through the investigation, officers obtained information that Benjamin had been assaulted by another man believed to be known to him. Investigators believe there are people who have information that could help solve Benjamin’s murder and they are asking them to do the right thing and come forward with what they know. Anyone with information about Benjamin’s murder is asked to call police at 902-490-5016. Anonymous tips can be sent to Crime Stoppers by calling toll-free 1-800-222-TIPS (8477), submitting a secure web tip at www.crimestoppers.ns.ca or by using the P3 Tips App. Our thoughts remain with Benjamin’s family and friends on the loss of their loved one.